Last month, we brought you the first official image from the production of director Shane Black‘s forthcoming installment of Marvel Studios‘ wildly successful Iron Man franchise, featuring Tony Stark (Robert Downey Jr.) surrounded by his collection of armor. Now, thanks to the official Facebook page for The Avengers, we have our first look at concept art from the film, illustrated by Ryan Meinerding. The image shows Stark surrounded by armed soldiers, and sporting what appears to be some Extremis armor. In the Extremis story arc penned by Warren Ellis, the Extremis nanobots are first used by terrorists and later by Stark to enhance his Iron Man suit and give him additional powers and control over the suit. 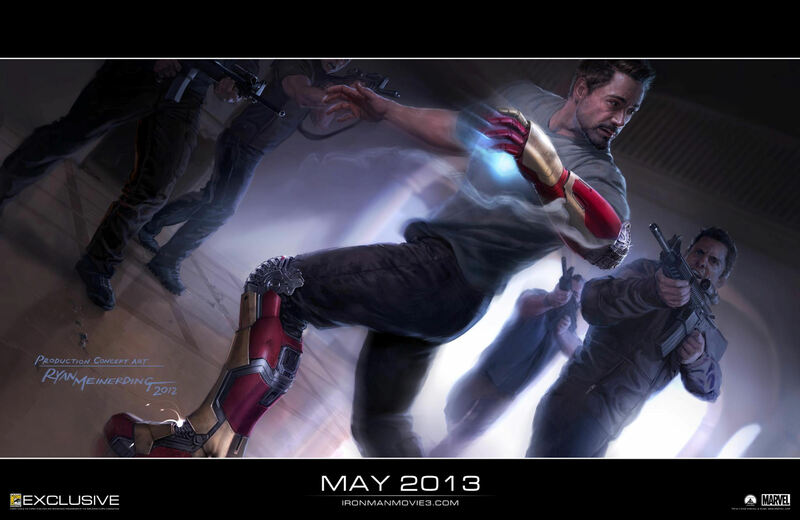 That rumor also included the tidbit that Iron Man 3 would feature multiple villains.